Smartphone manufacturers have been trying different materials for the build on their new smartphones every time. Earlier, we saw smartphones with plastic build predominantly and later OEMs moved on to metal build on the smartphones. While the trend of smartphones with the metal build was catching up, we saw glass build smartphones coming up. Recently, the glass sandwich design has been the trend and most of the smartphone manufacturers are incorporating it on the smartphones. But, with every design, there comes a con too and the same goes with glass design. It’s highly slippery, attracts smudges, fingerprints and more. In order to protect, we use some sort of protection. But cases often are bulky and ruins the design of the smartphone. Then came skins as an answer to this. We have seen skins like dBrand predominant in the US. What if I told you there is a homegrown brand called GadgetShieldz creates amazing looking skins for your phones and other gadgets at affordable prices? Yes, you read it right! In this article, we will be sharing our experience and review with the Skinnova Skins from GadgetShieldz. 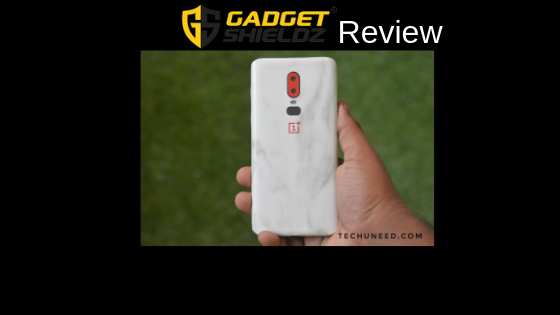 Let us start with the GadgetShieldz Skins Review. The skins from GadgetSheildz come in a minimalistic packaging. Upon opening, you are greeted with a ‘How-To’ guide which contains the instructions and link to their video. Then, you will find the skin itself that is stuck nicely along with a microfiber cloth for cleaning. If you have ordered separate skins for the camera lens, logo, then that will also be present in the package. That’s it for the box contents. Simple and Minimalistic! GadgetShieldz has a wide range of skins for every smartphone. They allow you to customize the look of the phone precisely before going ahead with the purchase. The texture selector has various collections and allows you to check each and every one before making the purchase. Some of the popular textures that GadgetShieldz offers is Matrix, Camoflaunt, Wood, Carbon Fiber, Sandstone, Stone, Metal etc. 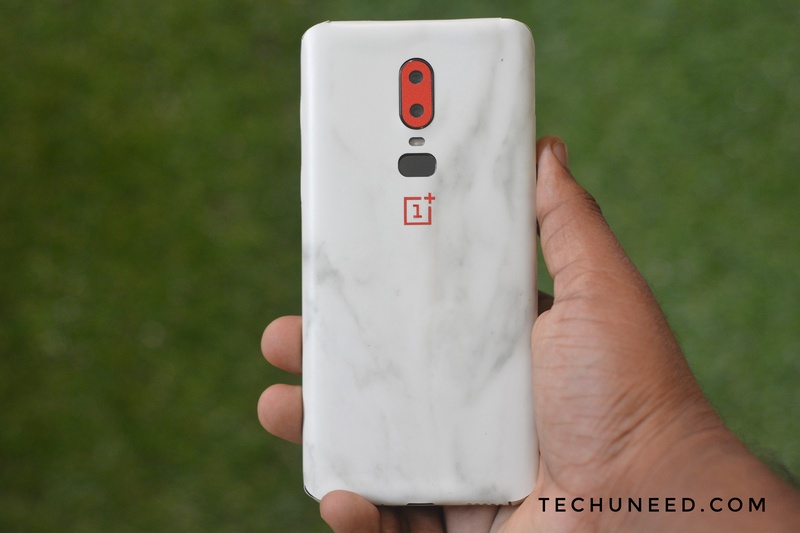 We tried the White Marble Stone texture on Oneplus 6 Smartphone and here’s our experience of the same. Let us first start with the installation. GadgetShieldz provides dedicated video tutorials on how to apply the skins. The company has a step by step procedure on applying the skin. Kudos to the company for providing such detailed tutorials. When it comes to the quality of the skins, GadgetShieldz has no compromise here too. We tested the White Marble skin and the texture was so perfect that it felt like holding a real White Marble in hand. The cutouts are perfect and precise which helps in installing the skin hassle free. The cutout for the camera lens, logo, fingerprint scanner, ports is precise. GadgetShieldz also provides a few extra skins for the camera lens, logo. As the surface area is small, there are chances of screwing up while applying the skins. So, an extra always helps. 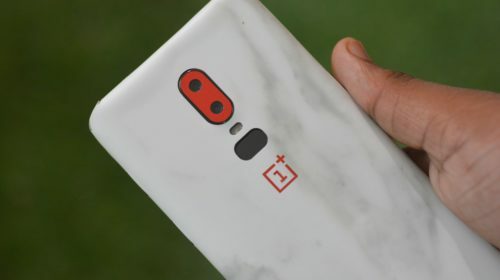 The only nitpicking that we can say is that as most of the smartphones nowadays come with a curved back, there might be an issue in the adhesive at the corners. But considering the quality of the skins, in our opinion, this can be neglected. When it comes to durability of the skins, we are happy to say that GadgetShieldz skins last long and are durable. We did not find any compromise on the quality and the skins last long. The adhesive is strong and sticks firmly. It does not come out easily. So in causal and heavy usage, the skins shouldn’t be a problem and will give you an all-around protection. 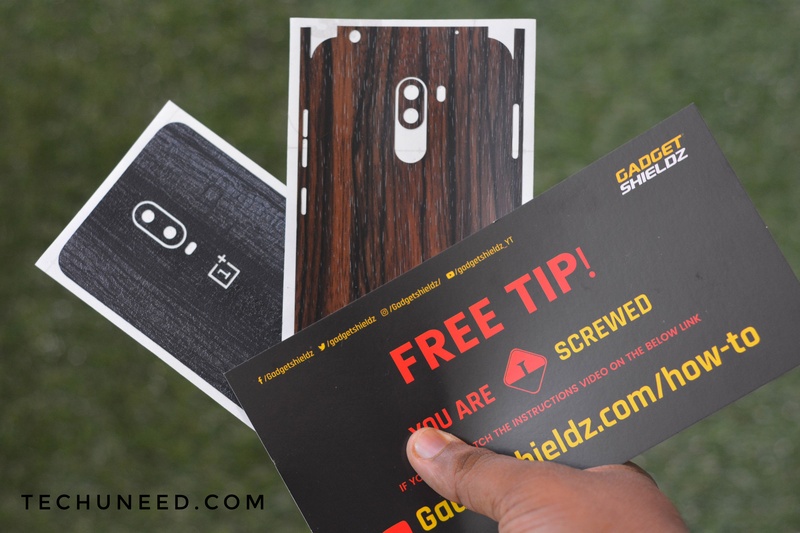 If you are a person who likes to customize and style your smartphone a lot and also need the necessary protection, then GadgetShieldz is a must have skin on your phone. It gets a thumbs up from our side and we recommend it. GadgetShieldz Skins are available at a price of Rs.499 and Rs.49 for the camera lens, logo etc. It is available to purchase from GadgetShieldz’s Official Website. 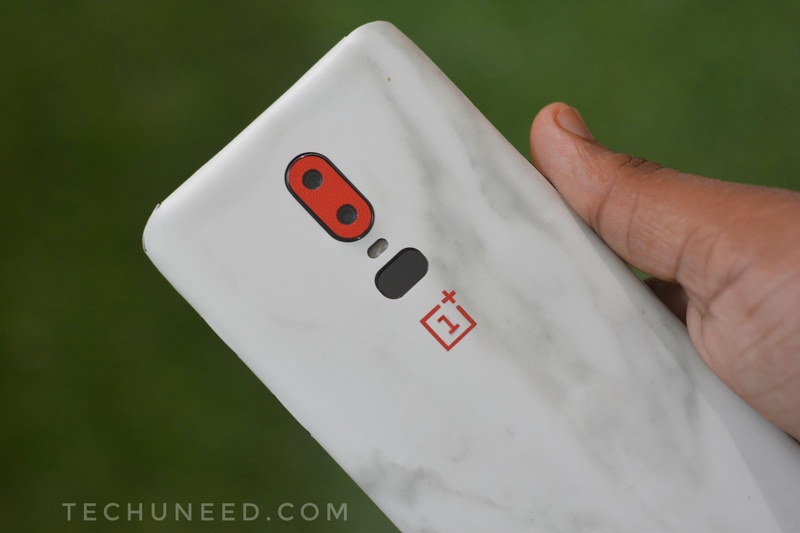 We are also doing a giveaway of skins for Oneplus 6T and Poco F1, Honor 8X soon! Stay tuned to our page for more details.